"Your vision must be bigger than you because it comes from God Almighty. It must also outlast you because it is divine and spiritual. 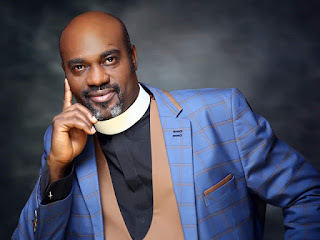 It must not die when you die," says the Superintendent of Christ Apostolic Church, Vineyard of Mercy Districts' Coordinating Council (DCC), Pastor Anu Ojo. Pastor Anu Ojo noted this while ministering at the recently held Tripartite Event organized by CACYOF Akinyele Region. The Cleric also noted that revelation is like a map that guides one through his/her journey to destination, stating that when you have and follow it, you will know where and when to stop. "An inscription on a frame in my office, says "follow your dreams, for they know the way". The future is in the spirit realm. The future is always close to us. The future is in our mind ("as a man thinks, so is he" - Prov 23:7). The future is in the hand of the Lord, for He knows the end from the beginning. The future is not a wish, it is a divine or spiritual order," he stated. The former Youth Officer of CAC Worldwide said Moses knew and saw something about Israel's emancipation and promise land, but in a haste to get it done, he killed an Egyptian, adding that there is an appointed time for dreams or visions. According to him, the serpent made Eve to see the good looking fruit but she never saw the death in it. He added: "satan showed our Jesus the glories of the earthly kingdom and asked for Jesus' bow (authority and destiny), but he didn't get it as he got that of Adam and Eve. All these pleasures shall pass away (1 John 2:15-17). Do you see yourself passing away or abiding (called to bear fruit that will abide - John 15:15-16). The works of our fathers and faith patriarchs are still standing the tests of time."